On 1 October, the first World Ballet Day will see a fantastic collaboration between five of the world’s leading ballet companies: the Australian Ballet, the Bolshoi Ballet, The Royal Ballet, National Ballet of Canada and San Francisco Ballet. On the first day of October, each company will stream behind-the-scenes action live from their rehearsal studios. Starting at the beginning of the dancers’ day, each company will take the lead with a four-hour period, streaming from their headquarters. The day will begin with the Australian Ballet in Melbourne, before the live link passes across time zones from Melbourne to Moscow, London, Toronto and finally to San Francisco. The backstage access will highlight the differences in style between the five companies – as leaders in their field – as they follow a similar routine but approach choreography and performance in individual ways. Starting with morning class, the day will be a celebration of dance as they move onto rehearsals. 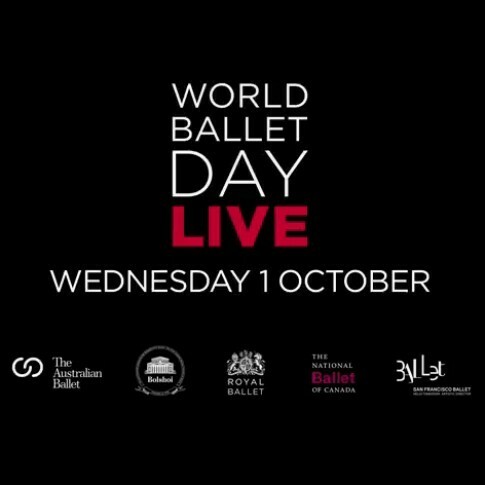 World Ballet Day is a development of Royal Ballet Live, a nine-hour live stream via YouTube and the Guardian website. Watched by 200,000 people, there have been a total of 2.5 million views on YouTube to date. World Ballet Day will be the first time that the other four companies have taken the cameras backstage in this way, and the first time that YouTube has streamed so much content. The day’s streaming will be repeated on YouTube in full, so viewers around the world can catch up on any parts of the day they missed; edited highlights will then be made available for further viewing, increasing the reach of the day further. Full details of the day are yet to be confirmed, however The Royal Ballet’s section will include Marianela Nuñez and Federico Bonelli rehearsing for Kenneth MacMillan’s Manon, which opens at the Royal Opera House on 26 September. The Bolshoi Ballet have plans for both stage and screen during their 2014-15 season, with its stage plans including a new ballet based on the Shakespearean story of Hamlet, Yuri Possokhov’s new Hero of Our Time, and a major revival of Yuri Grigorovich’s The Legend of Love. For the screen, Grigorovich will also dominate the company’s cinema season with two ballets and several productions also included in the programme. The production of Hamlet will be staged by choreographer Radu Poklitaru and director Declan Donnellan, the team which was behind the Bolshoi’s controversial production of Romeo and Juliet. Hamlet will have its premiere on 11 March 2015, with audiences eager to discover the new production. Negotiations are currently underway as to the use of two Shostakovich symphonies to be used as the production’s music. Possokhov’s new ballet will also be made for the Bolshoi’s new stage – in addition to Hamlet – and will premiere on 13 June 2015. It is based on Mikhail Lermontov’s novel which is set within the Caucasus mountains and features a Byronic hero. The Legend of Love, which will return to the stage on 23 October of this year, will also be the first broadcast in this season’s cinema programme. 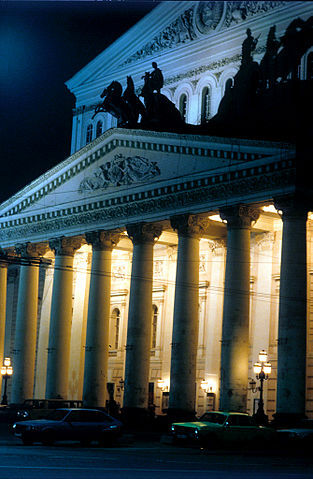 Many of the productions will be related live from the Moscow theatre to Cineworld and Picturehouse cinemas on Sundays. The Legend of Love will be followed by Pierre Lacotte’s staging of the production Pharaoh’s Daughter, and Grigorovich’s stagings of La Bayadère, The Nutcracker, Swan Lake, Romeo and Juliet, and Ivan the Terrible.